Click the chart to track shares of Herbalife. After watching Herbalife's stock more than double this year, Bill Ackman said he is restructuring his $1 billion bet against the company to curb further losses. 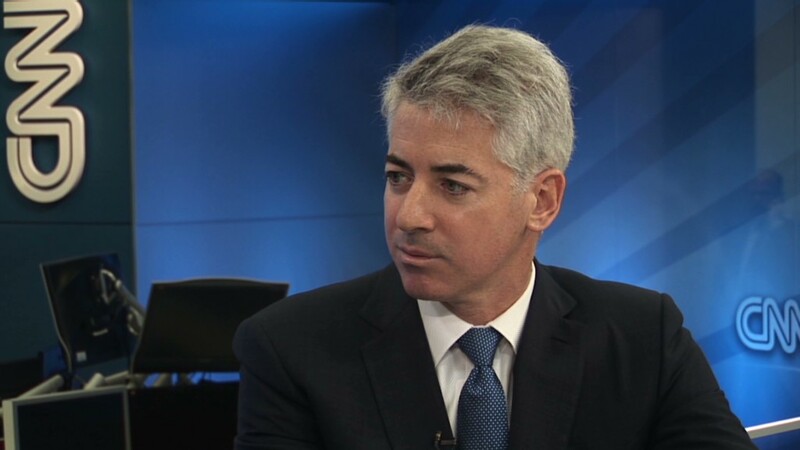 In a letter to investors of his hedge fund Pershing Square Capital Management Wednesday, Ackman said he reduced his short position on Herbalife (HLF) by 40% and instead purchased long-term put options and other derivatives. Those are safer than a traditional short position on the stock because they allow Ackman to "make a similar amount of profit as if we had maintained the entire short position," while also limiting the risk of further paper losses if the stock price holds steady or rises. Overall, Ackman has reduced the size of his bet against the nutritional supplements company to 12% of Pershing Square's $11 billion portfolio, from 16%. 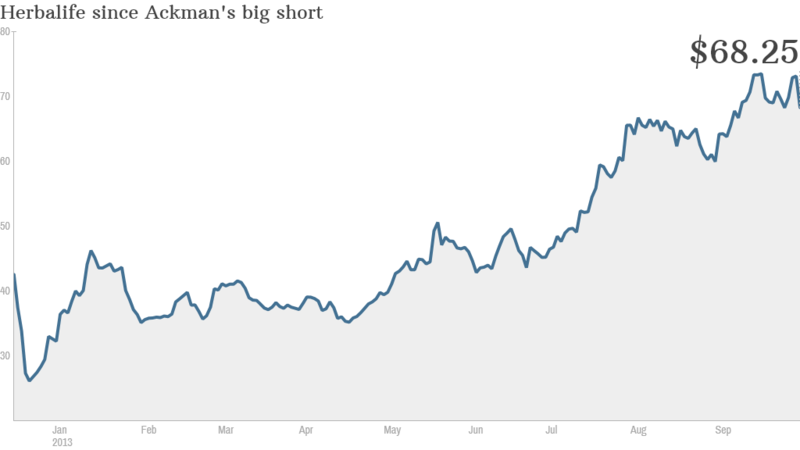 Despite the fact that Ackman was pulling back on his short position, shares of Herbalife fell almost 7% Thursday. Ackman says he still thinks that Herbalife is a "pyramid scheme," as he first declared last December when he announced his massive short position. Herbalife shares initially tumbled at the end of last year on Ackman's allegations, sinking nearly 40% in the four days following his announcement. But they have since been on a tear largely thanks to big purchases from billionaire investor Carl Icahn. Icahn's hedge fund, which revealed its position in December, is Herbalife's largest shareholder, with a 16% stake in the company. In his letter, Ackman noted that Herbalife's rally this year has been driven by bulls who believe that "government regulators will do nothing," but remained steadfast. "We believe it is only a matter of time before the company is shut down and prosecuted by regulators," he wrote. Related: Is the end near for J.C. Penney? It's been a tough couple of months for Ackman. Earlier this year, Ackman booked a $500 million loss on J.C. Penney (JCP )after he sold his entire stake in the troubled retailer. Ackman had a disagreement with the board over the company's management as it struggles to turn around. Reflecting on his defeat, Ackman wrote "I have learned the key to long-term success in investing is to balance confidence with the humility to recognize when the facts are no longer consistent with one's original investment thesis." Due to his bad bet on J.C. Penney and so far unsuccessful effort to take down Herbalife, Ackman said his fund's performance is flat this year, up only 0.5% compared to the S&P 500's nearly 20% rally.